Dyson have traditionally made tool fitment difficult. For example, the DC15 had a set of tools all of its own. They fitted no other model. 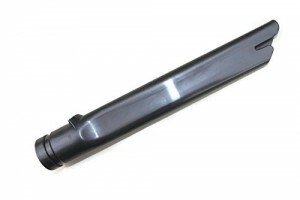 The DC19 had a possibility of two totally different types of tool socket; fitment depending on if it is a telescopic wrap or not. That causes parts sellers a world of pain when buyers don’t read the compatibility information and just buy a random tool because they have “a DC19” and then want to return it afterwards as it doesn’t fit. The DC18 was semi-unique, the DC05 motorhead tools didn’t fit standard DC05’s and don’t even ask about DC11, DC20 or DC21. 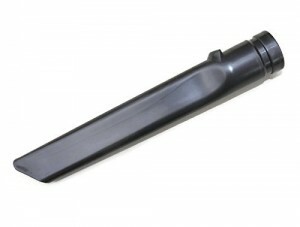 However, starting with the DC16, and more specifically from DC22 onward, Dyson have begun to use this type of tool fitment. The problem with the multi/combination tool is that people are not keen on it. 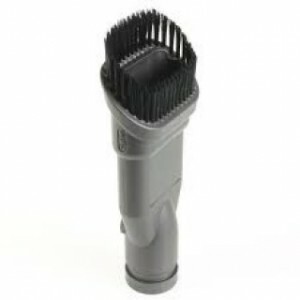 The multi/combination tool is a crevice tool with a brush tool that slides up and down and locks into place when needed. However, they are expensive and not much good. 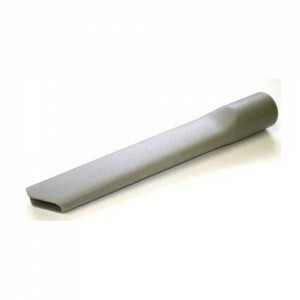 People wanted a traditional type of crevice tool similar to that found on earlier models of Dyson. Dyson did make these for the DC16, but they were rather expensive and it was never much publicised what other models they fitted. Dyson have since discontinued production of all DC16 spares anyway. These are the models it fits: DC16, DC19T2, DC22, DC23, DC24, DC25, DC26, DC27, DC28, DC28c, DC29, DC30, DC31, DC32, DC33, DC33c, DC34, DC35, DC36, DC37, DC38, DC39, DC40, DC41, DC42, DC43, DC44, DC45, DC46, DC47, DC48, DC49, DC50 (Small Ball), DC51, DC52, DC53, DC54, DC55, DC56, DC58, DC59, DC63, DC65, DC66, DC75, DC76, DC77, DC78, Big Ball, V6 and Cinetic. 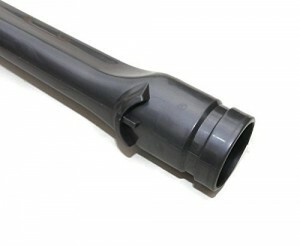 This one fits all the models above and locks onto the end of the hose properly. It even fits the end of the wand on a DC24. This tool is NOT suitable for models DC01-DC15, DC17, DC18, standard DC19, DC20 or DC21. So with one of these, you can now get down the side of the seats in your car and into all the awkward gaps again with your late model Dyson. Like you could with the proper Dysons of olde. No more faffing about with “multi tools” or “combination tools” that are not narrow or long enough to get anywhere you want them to; and fall to bits. Want to know the good bit? They cost less than a pint of beer. Click the little guy below to find out more. If you are still unsure if this tool will fit your Dyson, use the comment box below to say what country you are in and the first three digits of the serial number of your Dyson, and I will reply and tell you if this fits your machine. If you like what you read on Dyson Medic, please use the social media buttons to share us on Facebook or Twitter. We love that! This entry was posted on Thursday, January 7th, 2016 at 10:58 pm	and is filed under Dyson DC24, Dyson DC25, Dyson DC27, Dyson DC33, Dyson DC40, Dyson DC41, Dyson DC50, Dyson News, Dyson V6. You can follow any responses to this entry through the RSS 2.0 feed. You can skip to the end and leave a response. Pinging is currently not allowed. So one of these will fit the narrow end of the wand on my DC24? I bought one from eBay and it wouldn’t fit my DC24 that way. I sent it back to (LM Electrical I think it was)…..
Also, will the adaptor you talk about here http://dysonmedic.co.uk/dyson-tool-adaptor-new-style-to-old-style/ fit my DC24 and let me use my old DC04 tools? 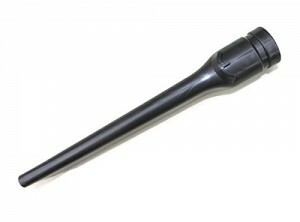 The one I linked WILL fit on the end of the wand on your DC24. The ones LM Electrical sell are made by a different manufacturer and wont (although they look similar).